Rose Collis left school at 18 with scant qualifications to her name, but had already become a self-taught guitarist with dozens of self-penned songs to her credit. She appeared in many school plays, including The Importance of Being Earnest, The Monkey’s Paw and an adaptation of Cry The Beloved Country. 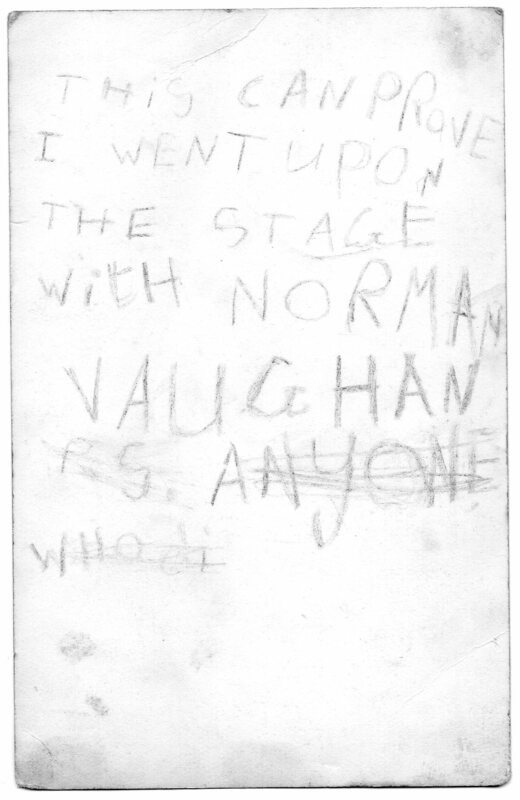 It’s believed that her love for theatre began at the age of five, when she was one of several children coaxed by their families on to the stage of Wimbledon Theatre for a group rendition of Old Macdonald Had A Farm during a performance of Sleeping Beauty, starring Norman Vaughan. 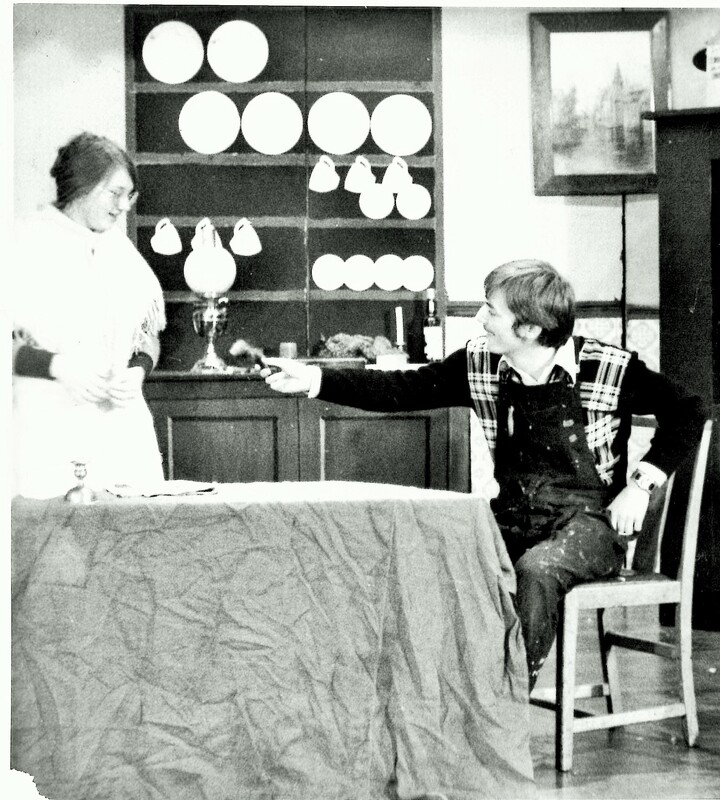 Her long blonde hair ladlylike home-made dress and obedient demeanour made her the natural choice to give voice to the pig. 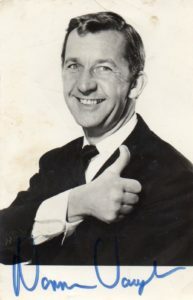 Her convincing performance brought the house down, and she exited laden down with an abundance of prize gifts, including a signed photo of Mr Vaughan. 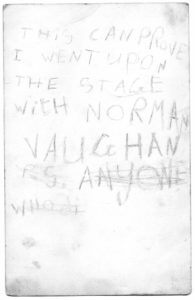 Her precocious, correctly-spelled note written on the back of the card was an early sign that this could be an embryo diva in the making. 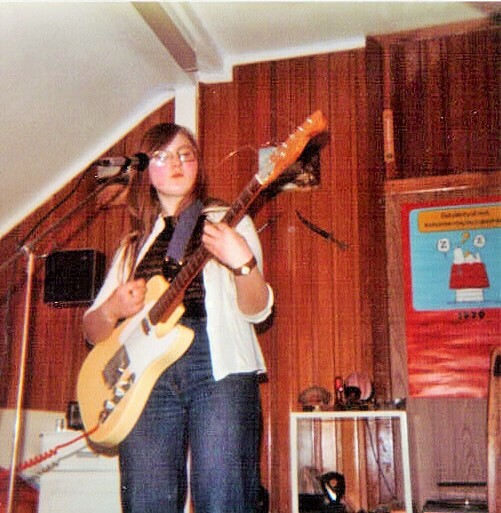 One of her secondary school teachers told her that she would never have a stage career unless a) she went to drama school, and b) she lost her South London accent. 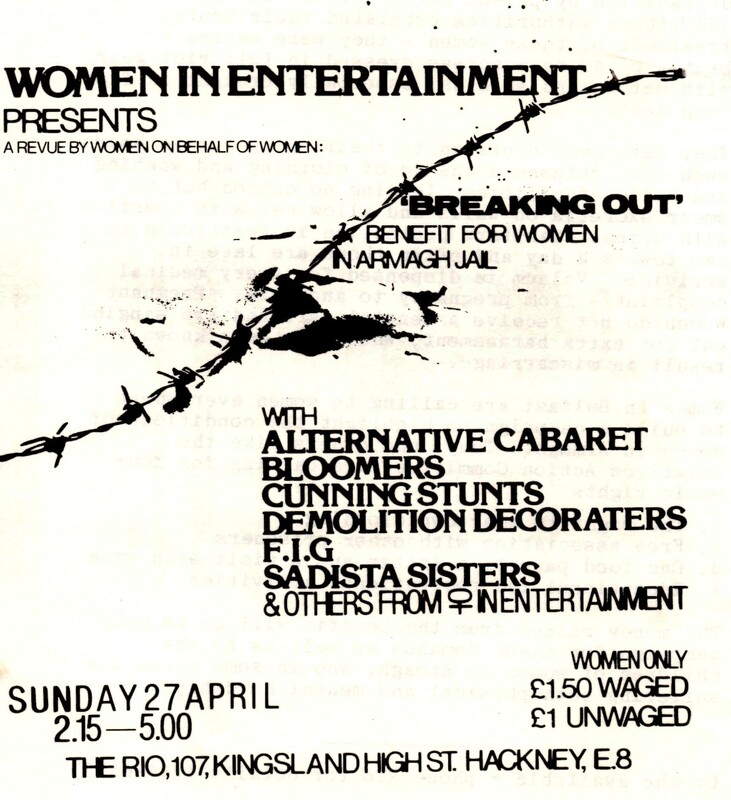 She spent a year training in secretarial and admin skills (how useful would that qualification in touch-typing turn out to be…) and worked as a temp while making early forays into fringe music and ‘agit-prop’ theatre, via the Oval House, in tandem with her burgeoning activism, courtesy of some careful nurturing by the legendary Brixton gay community. 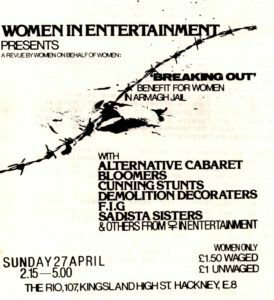 This led to some of her first performances, including a number of benefit concerts for ‘Women in Entertainment’, and the Greek gay magazine, Amfi, alongside Noel Greig and Stephen Gee (both of Gay Sweatshop). 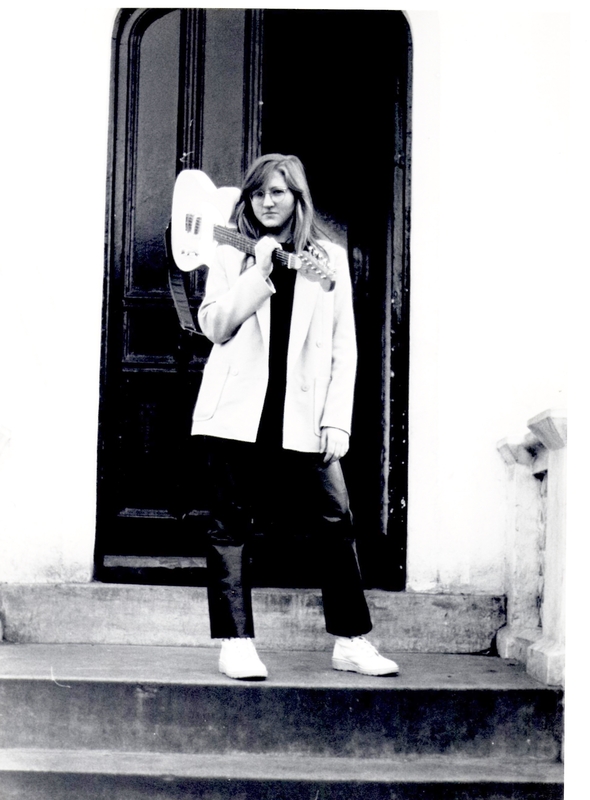 By the age of 21, she had produced a ‘demo’ of some of her own songs; co-founded a women’s theatre group; performed with them in five European countries and in the the UK. 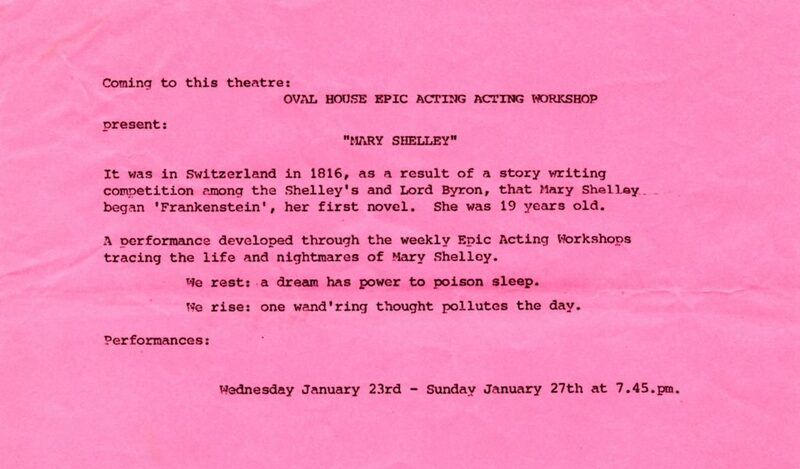 Her theatrical career began in late 1979 at the Oval House, part of a large group of performers who devised and performed an ‘Epic Workshop’ production, directed by Jim Sweeney, based on the life and work of Mary Shelley. 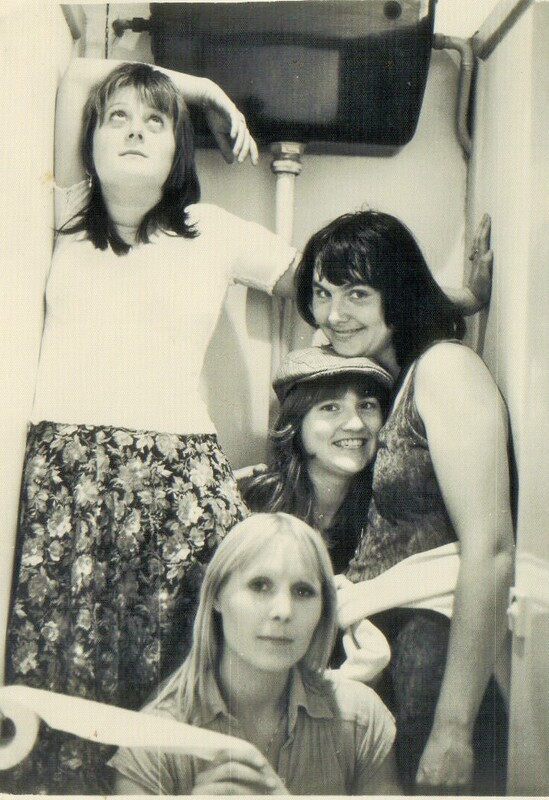 In 1980, she co-founded Hardware, the feminist musical-comedy troupe, for which she wrote and arranged much of its songs and the group became noted for its musical versatility and originality. 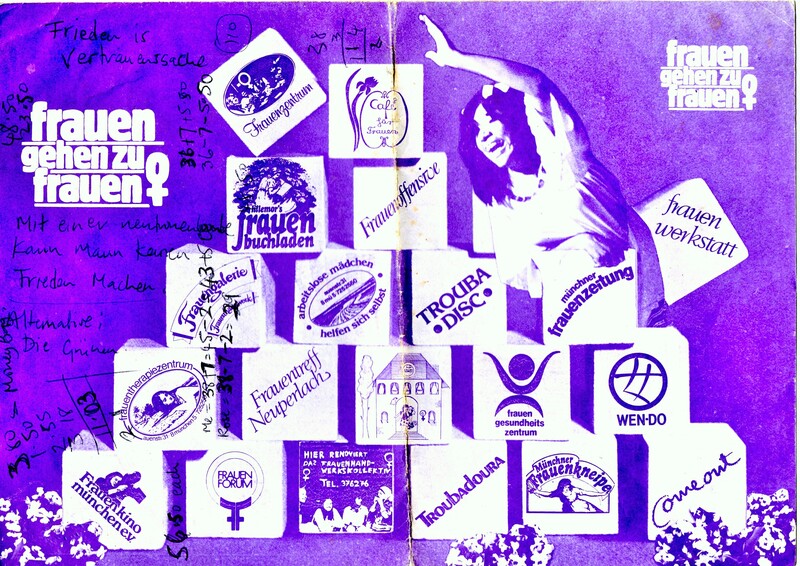 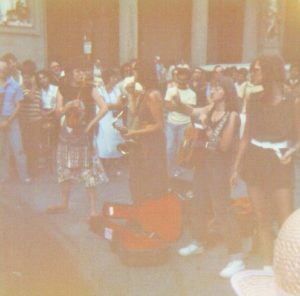 Within weeks, the group set off on an ad hoc two-month busking tour around Europe, playing at festivals, outdoor sites and venues in Sweden, Denmark, West Germany (passing through East Germany en route), Italy and Holland, including outside Nuremberg Castle; the Uffizi Gallery, Florence; and the Olympic Park, Munich. 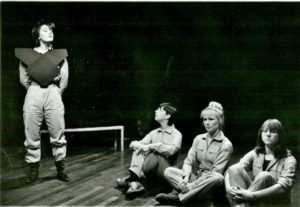 Hardware performed extensively at UK arts festivals, including Bath, Hood Fair and the Edinburgh Fringe, and venues including Oval House, Chapter Arts Centre, Chat’s Palace, The York & Albany, Theatre Space, The Half Moon and Hoxton Hall. 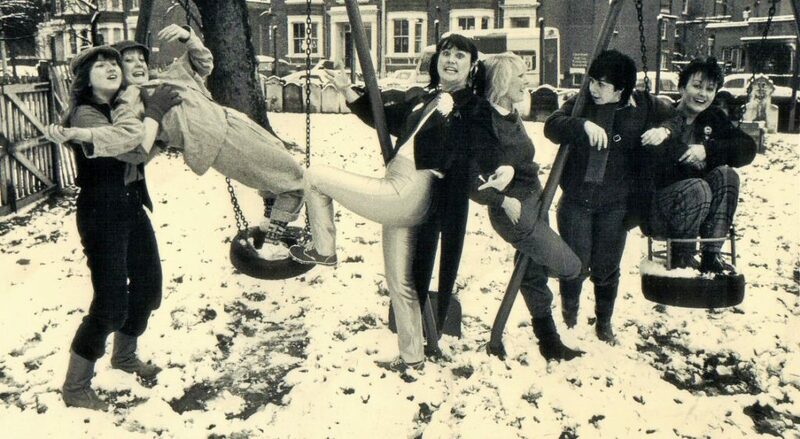 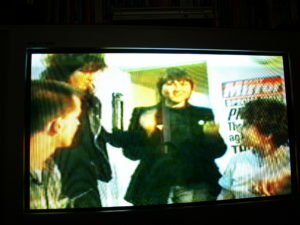 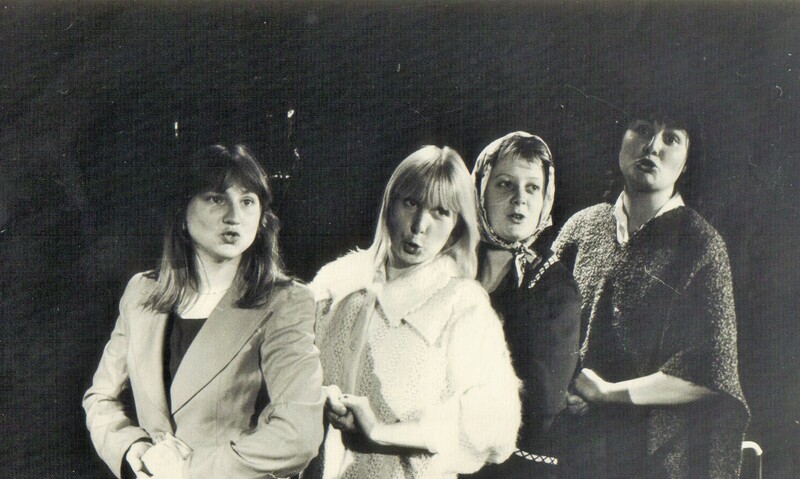 The group were featured on Afternoon Plus (Thames TV) during the Women Live Festival 1982. 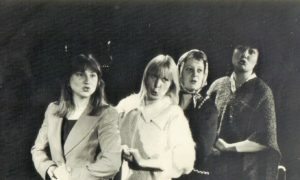 ‘Everywoman’, devised, written and composed by the company, (Rose Collis, Carol Prior, Karen Lucas, Lisa Fairgrieve), directed by Edward Dumas. 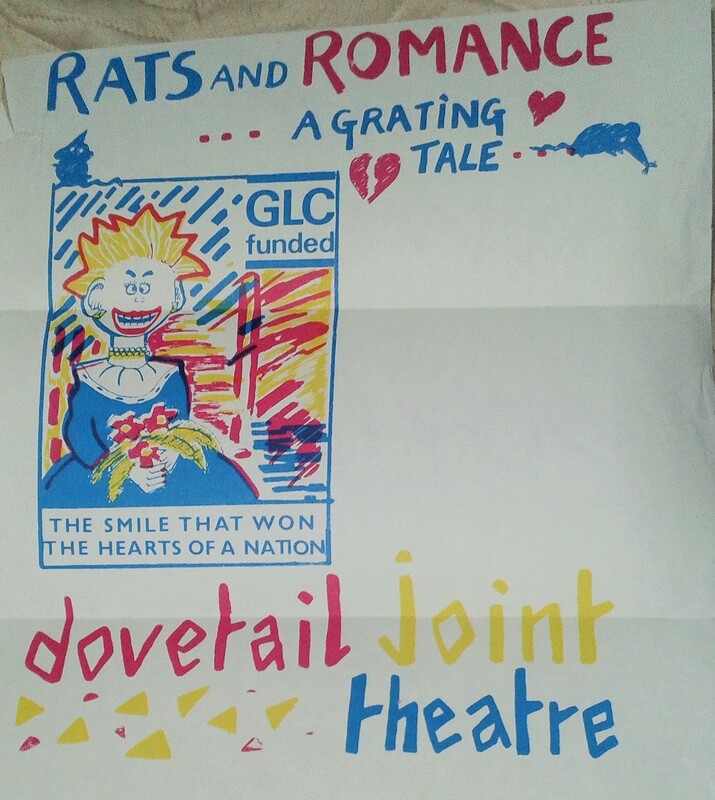 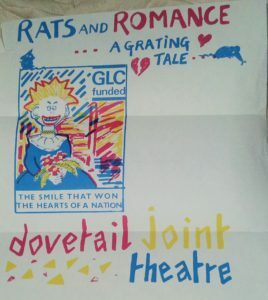 After Hardware disbanded in 1982, Rose Collis continued performing until the mid-80s as a solo artist and with other fringe groups, including Dovetail Joint and Outcast Theatre (formerly Consenting Adults in Public), composing songs and co-writing their respective musical shows Rats and Romance, and Obscene and Heard. 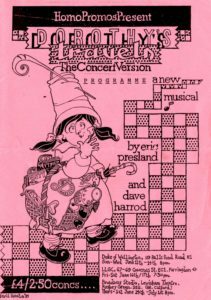 and singing and playing guitar and banjolele with Pink Rince, the world’s first gay ceilidh group. In 1982, she featured in Intimate Confessions, an edition of the BBC2 youth series Something Else, writing and editing script for the programme, including the four-part Jo and Nicky, co-written with David Quantick, now a multiple award-winning music and comedy writer for NME, Veep, Brass Eye and TV Burp. As a solo performer, she performed at a number of benefits, most notably at Coming Out Ready or Not, a sell-out benefit for London Gay Switchboard and Lesbian Line at the Albany Empire in December 1982. 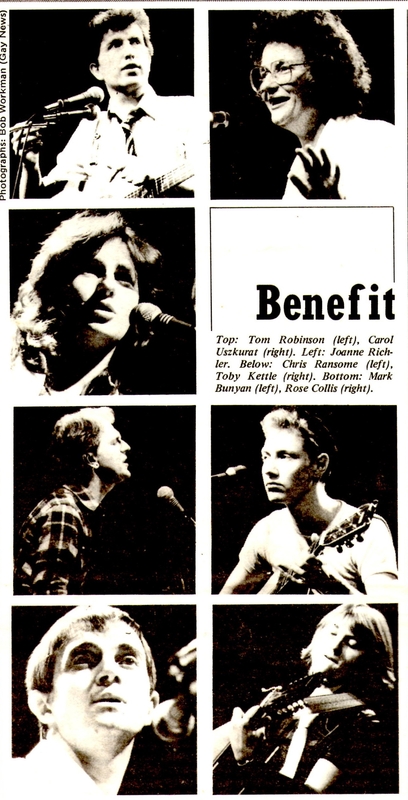 The headliner was Tom Robinson, whose set included the first live performance of War Baby. 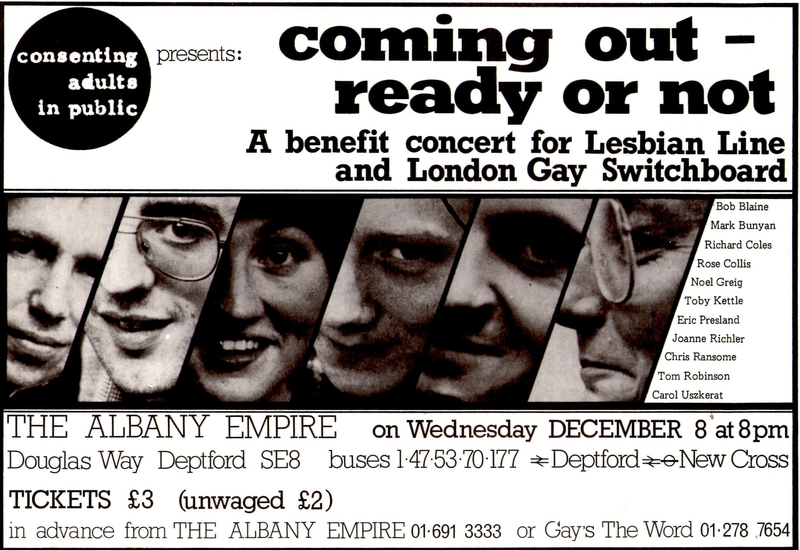 The line-up featured a wealth of 80s lesbian and gay performers: Mark Bunyan, Carol Uszkarat, Eric Presland and Richard Coles (later of The Communards fame). 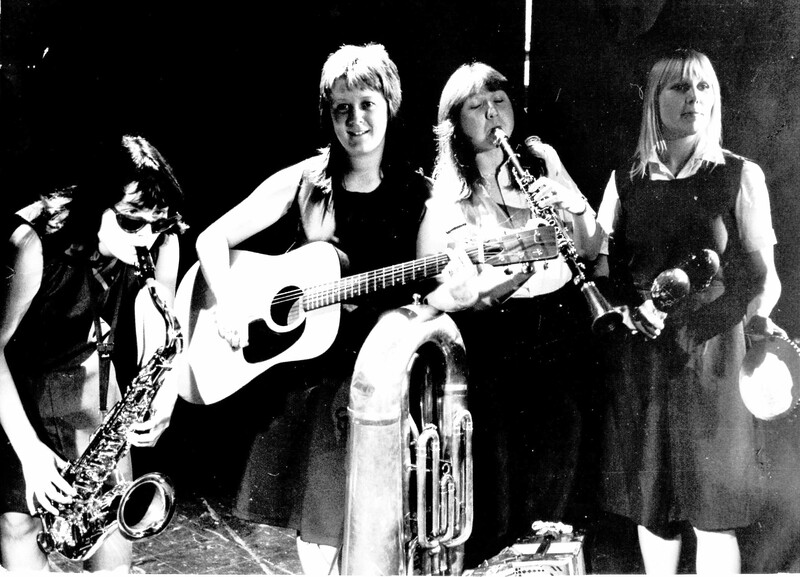 The concert was recorded and highlights released on GAYN Records – the first ever LP to feature lesbian and gay artists in the UK. 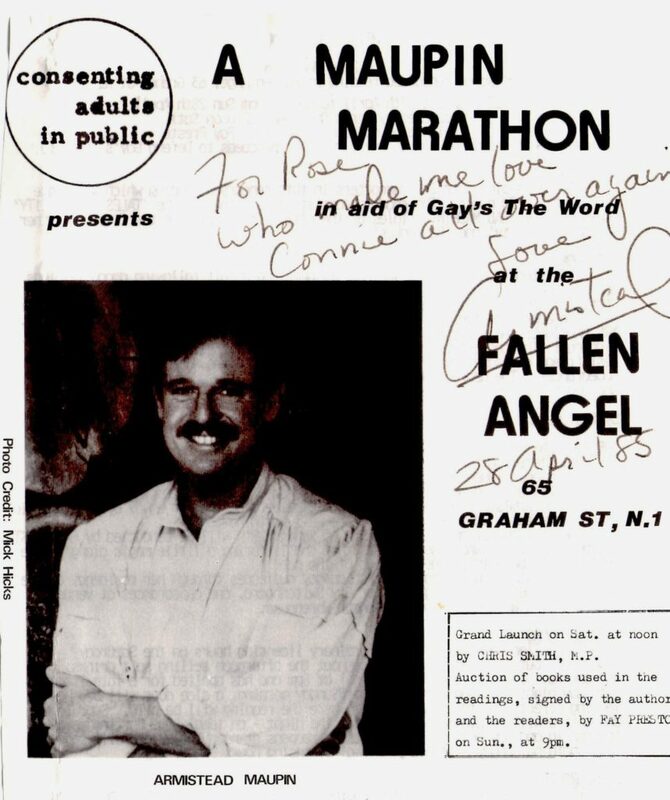 In April 1985, she took part in the Maupin Marathon, presented by Consenting Adults in Public, a fundraiser for the ‘Gay’s The Word‘ Defence Fund. Thirteen actors played over 200 characters in a 36-hour, non-stop rehearsed reading of all four of the Tales of the City books by Armistead Maupin. 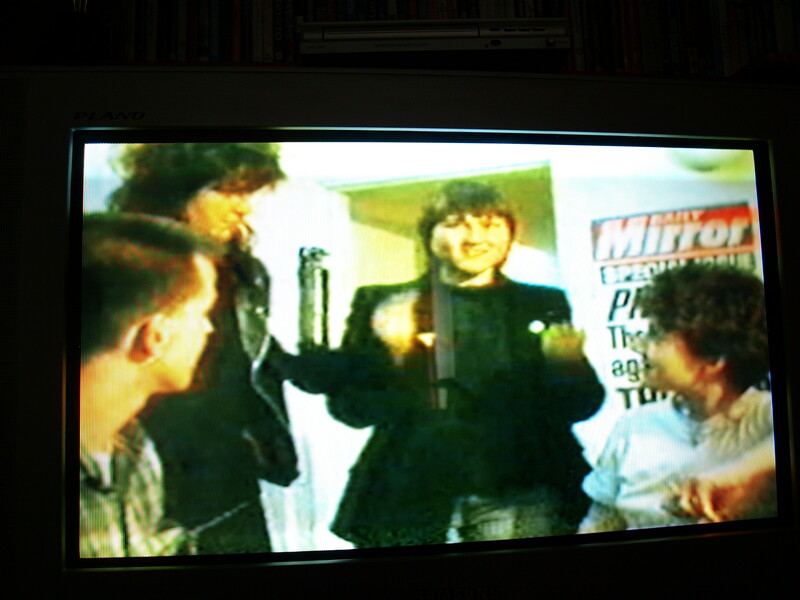 Launched by Chris Smith MP, the event was attended by Maupin himself, and Tom Robinson. 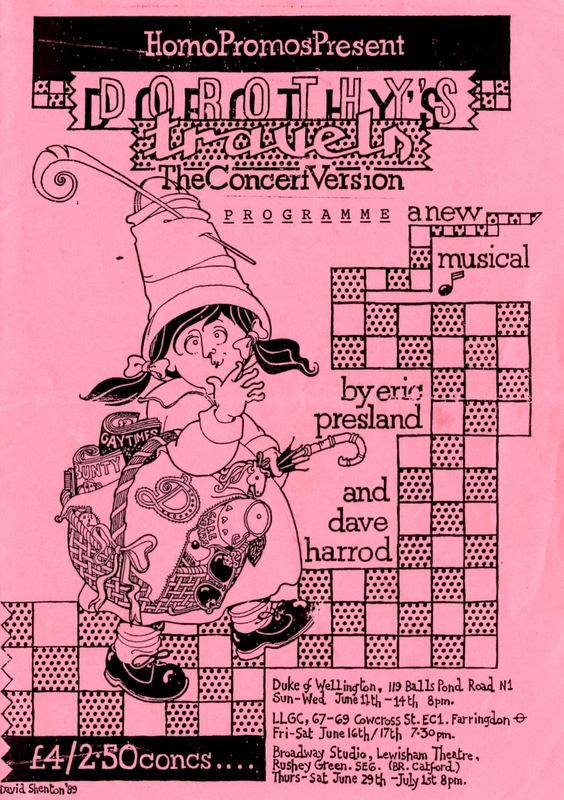 In 1988, Rose Collis performed in the concert version of ‘Dorothy’s Travels‘, a contemporary British reworking of The Wizard of Oz, by Eric Presland (book and lyrics) and Dave Harrod (music). 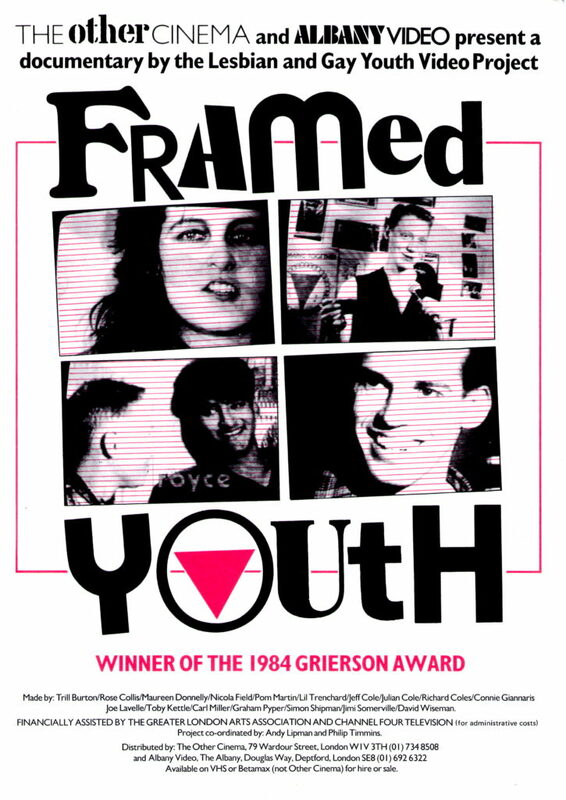 In 1983, she was one of the team which created Framed Youth (C4), produced by Andy Lipman and Philip Timmins, and was especially notable for featuring the first performance by Jimmy Somerville, later of Bronski Beat and The Communards. 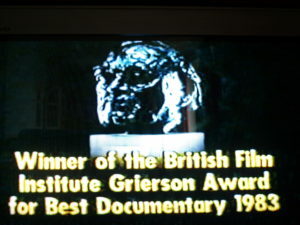 It won the prestigious BFI Grierson Award for Best Documentary of 1984. 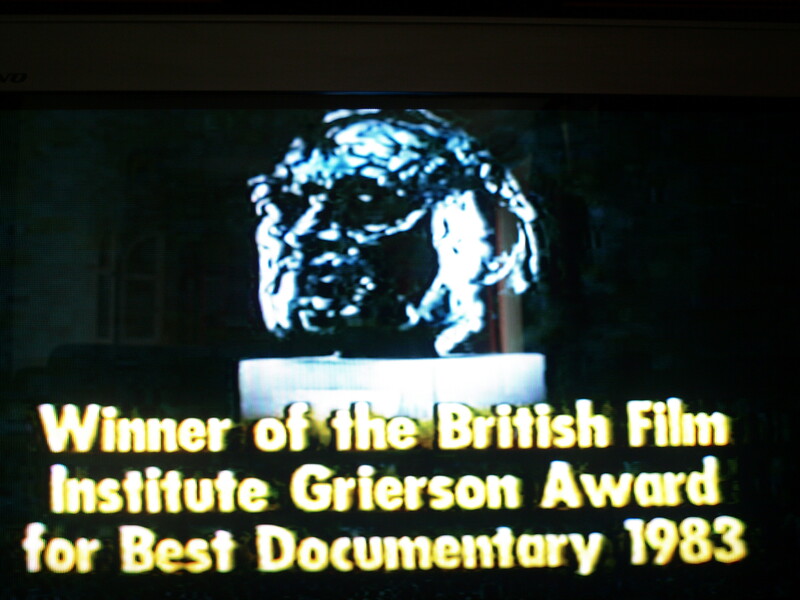 The team collected the award at a star-studded ceremony at the National Film Theatre, attended by Sir Richard Attenborough, Alan Bates, Sarah Miles, Robert Bolt and Sandie Shaw. The film was eventually shown by Channel 4 in December 1986.